They were very trustworthy, and they did a great job. They were right on the money, and the customer service was outstanding. He was very personable and did a very nice job. The carpets are older, but he did a good job and discussed future carpet purchases with us. He gave us advice on what type of carpet to purchase. He was on time, courteous, friendly, and efficient. He got it done quickly and didn't leave the carpets too wet. 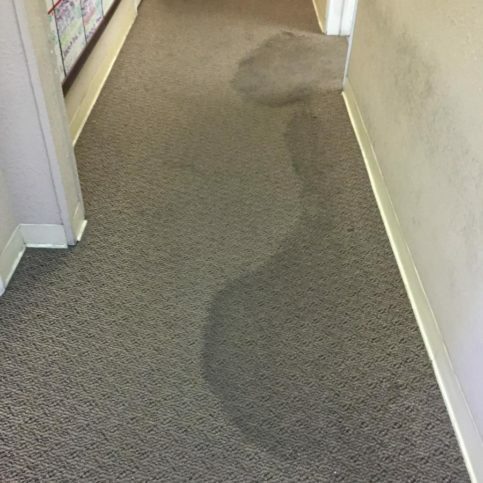 He used a lot of extraction to get the water out of the carpets. He also had us do the right thing by having us open the doors and windows so that the carpets would dry faster. I have already told a friend. I refer all of my clients to Dave. They're quick. Dave is a nice, knowledgeable guy. 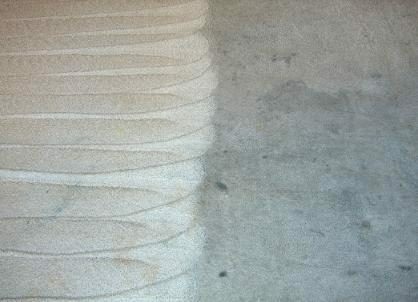 My carpets look and feel great when he is done. 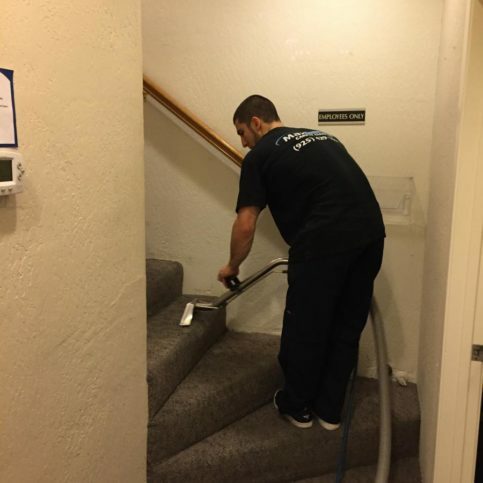 Maximum Carpet Cleaning cleans all types of carpet, upholstery, area rugs, and tile and grout for residential and commercial clients throughout Central Contra Costa County. 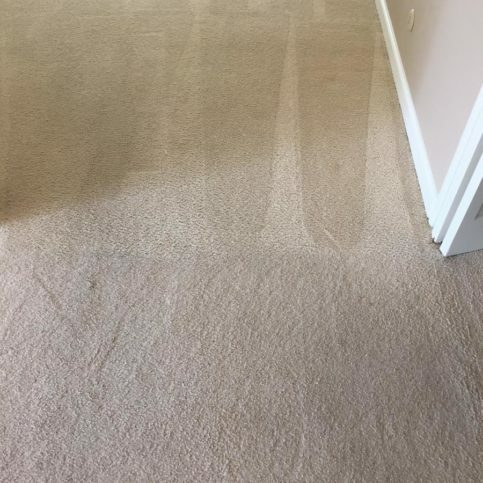 The company primarily uses the hot water extraction cleaning method—a soap-free, low-moisture process that’s designed to deep-clean without the use of harsh chemicals and has proven to be one of the most effective methods of cleaning carpets available today. Emergency water damage service is also available 24/7. 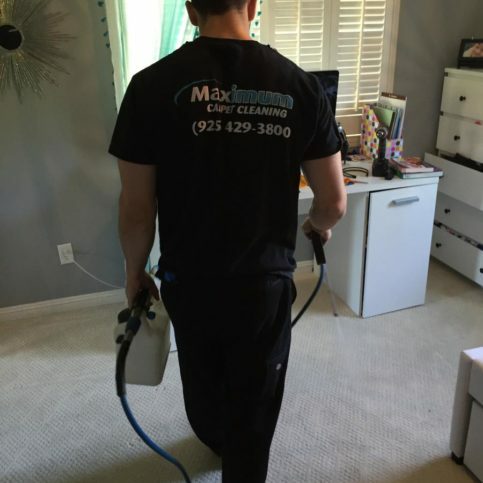 Maximum Carpet Cleaning is proud to be a family-owned and operated company. 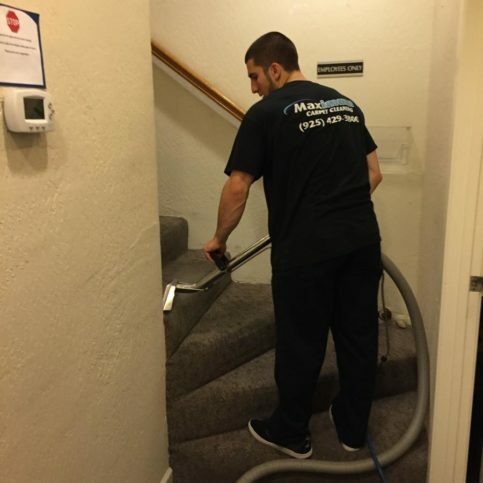 Maximum Carpet Cleaning has been cleaning carpet, upholstery, area rugs, and tile and grout for residential and commercial clients throughout Central Contra Costa County since 2006. 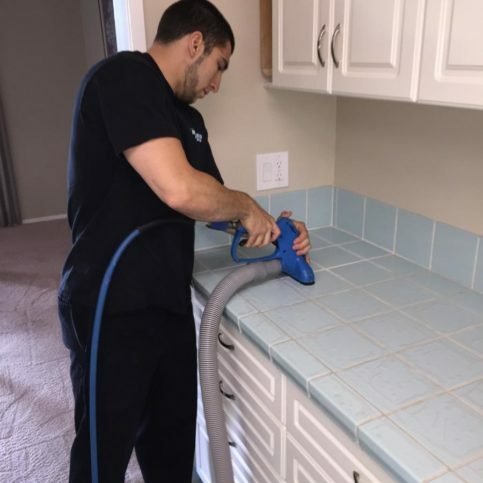 The company exclusively uses the hot water extraction cleaning method, which is designed to deep-clean without the use of soap or harsh chemicals, and it’s available 24/7 to clean water-damaged surfaces. In addition to leaving carpets drier, another benefit of hot water extraction is that it’s approved by most carpet manufacturers. 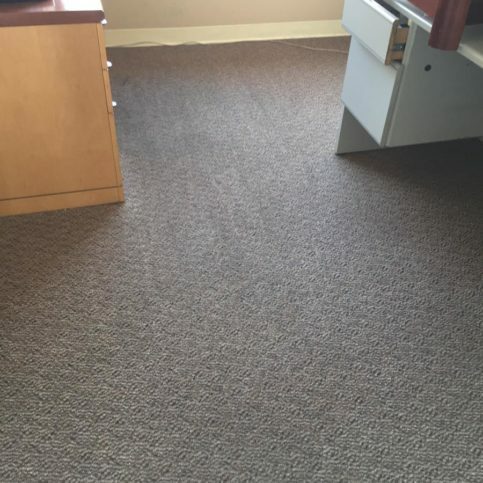 “In many cases, a carpet’s warranty will only be good if the owner uses a manufacturer-approved method like hot water extraction,” says Mr. Steely. 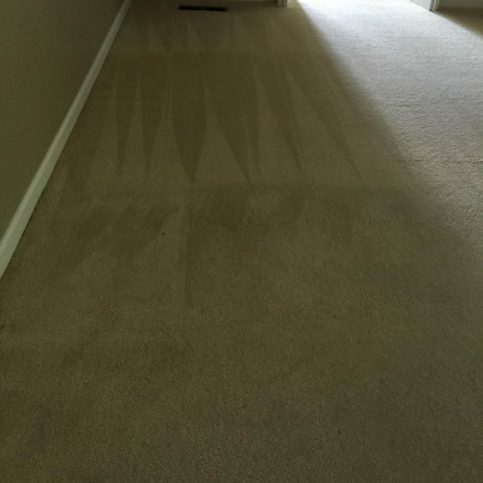 “By hiring a company that uses an alternative method like Chem-Dry, you could potentially void your carpet’s warranty.” To avoid this, be sure to review your carpet warranty before hiring a carpet cleaning company. Q: Can you remove any type of stain? 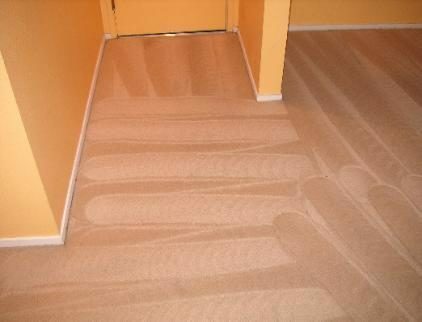 A: We can remove most stains, but if it sounds complicated, we may need to come to your house and look at it before giving you an answer. Q: What if a stain reappears after you’ve treated it? A: If a stain reappears, give us a call—we’ll come back and clean it again. Q: Can you get rid of pet urine odor? A: Yes, we use a deodorizer to remove odors caused by dog or cat urine. Besides getting rid of the smell, the deodorizer decreases the chance of your pet going back to that same spot because it’s no longer a marked territory for them. Q: How long will my carpet be wet after you clean it? 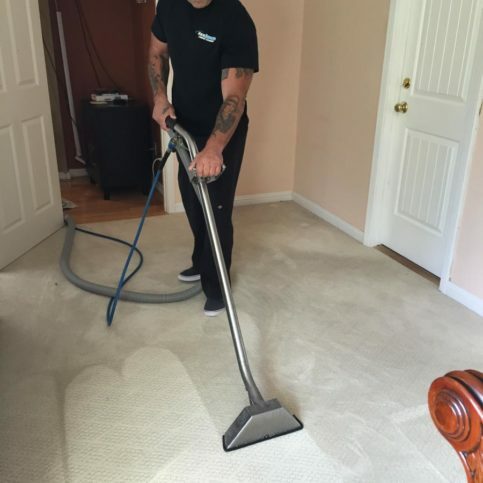 A: Our hot water extraction method allows us to clean carpet with a minimal amount of residual moisture, so your carpet should be fully dry within eight hours. 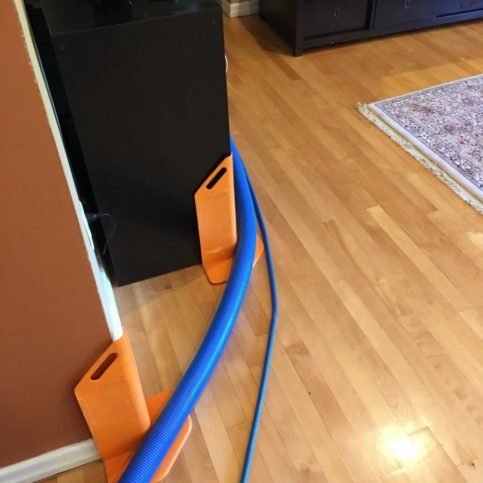 Q: What if I have an emergency and need my carpet to dry faster? A: That’s no problem; we can leave fans to speed up the drying process, and we’ll come by later to pick them up. Q: Do you use organic products? A: Yes. We originally switched to organic products because some of our old products had a very strong smell that was irritating some of our customers. 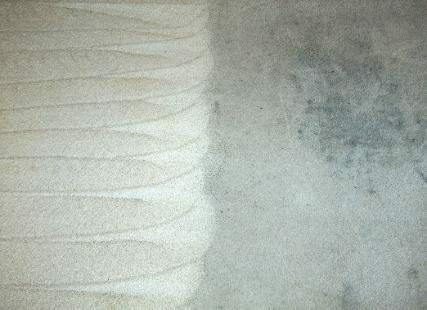 Our organic carpet cleaning products are odorless, highly effective and completely safe. 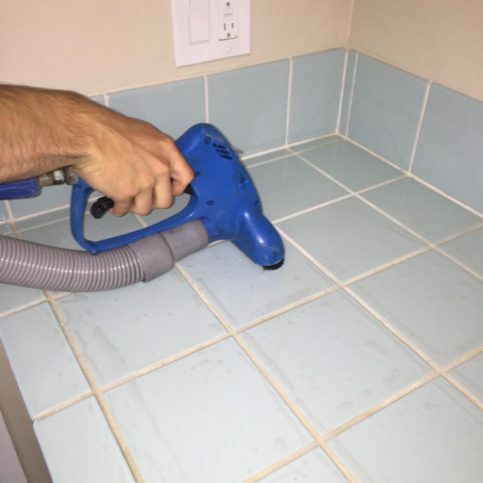 Brandon Steely cleans a customer’s kitchen tile. 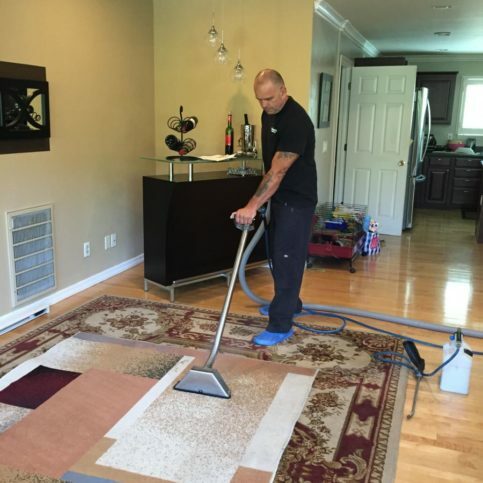 Dave Steely is a 22-year veteran of the carpet cleaning industry and owner of Maximum Carpet Cleaning, a Diamond Certified company. He can be reached at (925) 526-5930 or by email. A: It’s a tie between summer and winter. During the summer, we spend a lot of time at the beach and barbecuing, whereas in the winter, we do more camping and dirt bike riding. A: La Veranda Cafe in Clayton. A: A couple of egg whites with half a chicken breast or some ground turkey—lean proteins, mainly. 1. With a tightly folded, 100 percent cotton towel, begin blotting the affected area. Why 100 percent cotton? Because cotton is the most absorbent material—much more so than nylon carpet. 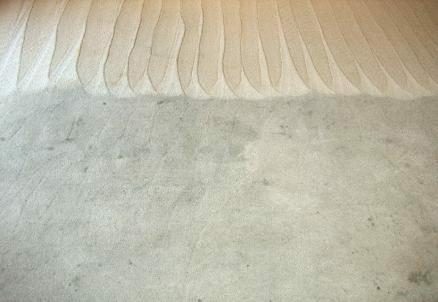 As you blot (don’t scrub, it’ll only spread the stain), rotate the towel as each section becomes inundated with liquid. Depending on how much liquid there is, you might need a second towel. 2. Once you’ve reached a point where your towel ceases to absorb liquid, take some table salt and spread a generous amount over the area. 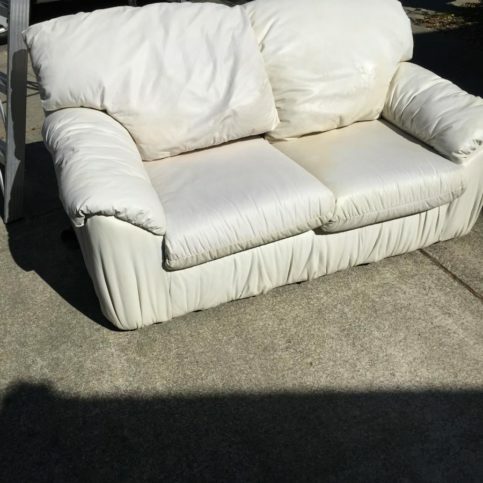 Gently rub your hand over the carpet fibers to further spread the salt. After letting the salt sit for 15 minutes, run your vacuum over the area to remove it. 3. Using a simple mixture of one part white distilled vinegar, two parts water and a splash of dishwashing liquid, wet a new towel and blot the affected area. Keep an eye out for color transfer—it’ll tell you if your towel is still picking up anything from the carpet. 4. When you see you’re no longer getting any color transfer, place a dry cotton towel over the affected area and put something heavy on top of it (equivalent to the weight of a 1-gallon water jug). A plastic container works best; don’t use wood or metal containers, as they can potentially stain the carpet themselves. Leave that to set for at least an hour, allowing it to absorb any remaining residue in the carpet. Finally, after letting the carpet sit for 24 hours, run a vacuum over the area to reinvigorate the fibers. 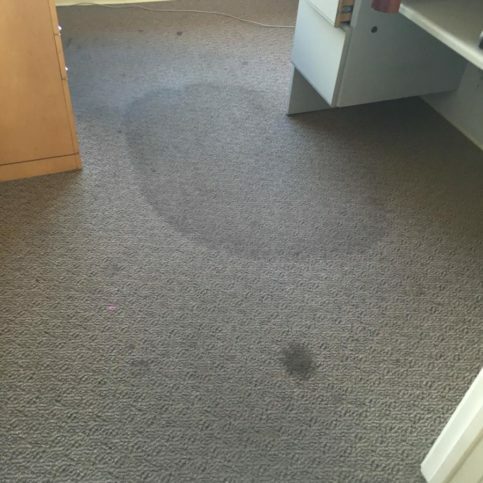 CONCORD — Host, Sarah Rutan: When a spill occurs on your carpet, knowing how to deal with it properly can make all the difference in preventing a permanent stain. Today we’re in Concord with Diamond Certified Expert Contributor Dave Steely of Maximum Carpet Cleaning to learn more. 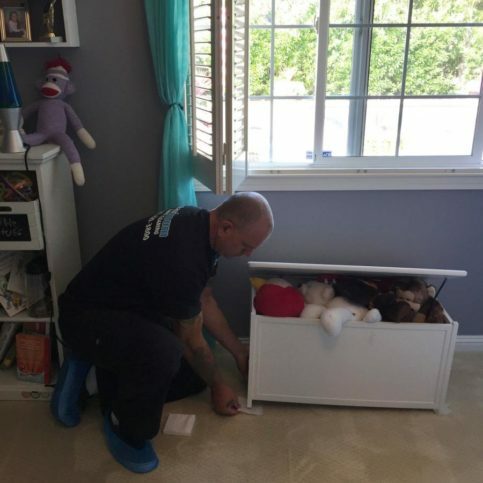 Diamond Certified Expert Contributor, Dave Steely: So, today, we’re going to address what to do when something gets spilt on your carpet. This is the proper way to absorb – and this can be any kind of liquid. For this demonstration we’re going to use red wine – which is unfortunately a common occurrence with our clients – but anything will do. We got a little bit of a red wine spill here. So, first thing you want to do is grab a one hundred percent cotton towel. You’re going to place that towel right on top of the affected area. Now, cotton is much more absorbent than your nylon carpet. So, as you can see, we’re getting color transfer, and that’s what we’re looking for. So, we’re going to rotate that towel, and we’re just going to keep blotting. We’re trying to get as much liquid out of here as we possibly can. Now, this may take one or two towels, maybe more depending on how much liquid. But, we just keep repeating, repeating, repeating. Once we’ve got it to the point where we’re no longer getting any transfer, we’re going to just kind of lightly spread this apart. We’re going to grab some table salt, and we’re going to put a generous amount of salt on there. The salt is going to absorb the liquid. So, what we want to do – once we get it on – we’re going to spread that carpet again, let that salt work its way all the way down to the back end of the carpet just by gently rubbing it here. Then we’re going to apply some more. Now, we’re going to want to let that sit for at least fifteen minutes. Once that’s done, we’re going to take our vacuum and we’re just going to vacuum it up. Then we’re going to take a simple mixture – this is one part white distilled vinegar, two parts water, and just a splash of dishwashing liquid – we’re going to apply that on the affected area. Once again, we’re going to get our cotton towel. We’re going to put that on there, and we’re going to blot again. What we’re looking for is color transfer. We want to see is anything still coming off onto the towel. Once we see we’re no longer getting transfer, we’re going to take it and we’re just going to gently raise that carpet up. We’re going to take a dry cotton towel, we’re going to place that on the affected area, and then we want to take something that weighs about the equivalent of a gallon of water. We want to make sure this is a plastic container. We want to be sure we don’t use wood or metal. 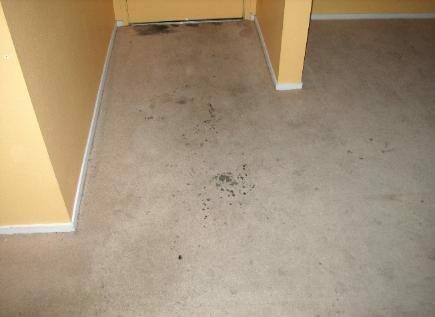 Wood or metal can both stain the carpet and create much more damage. We leave that set roughly for at least an hour – let it absorb the rest of that liquid out of there. Once it’s done, we’re just going to pull that up, remove it, let it sit for twenty-four hours, run a vacuum over it, and that should take care of it. 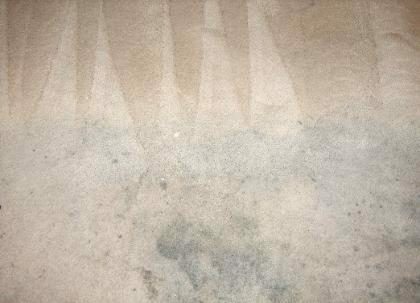 Maximum Carpet Cleaning : Average 9.5 out of 10 based on 175 unique customer surveys of customer satisfaction. They showed up and got the job done quickly. The carpets look great still. They have specialty equipment for the type of carpets that I have, which most don't have. They did a good job. The carpets came out nice. Well, they do what they say, and they do it well. I thought the cleaning was done really well. I like that they are family-owned and local. They care about their customers and the quality of work they put out. They are great. They are great. They came on time and did well. They are reliable, on time, and they do a good job. It was all good, I mean, I guess their thoroughness. They showed up for the appointment on time, and the cleaning turned out good, not much more to say. They were professional and reliable. I would recommend them. We have used them many times over the years. I think they are great. They do a good job. 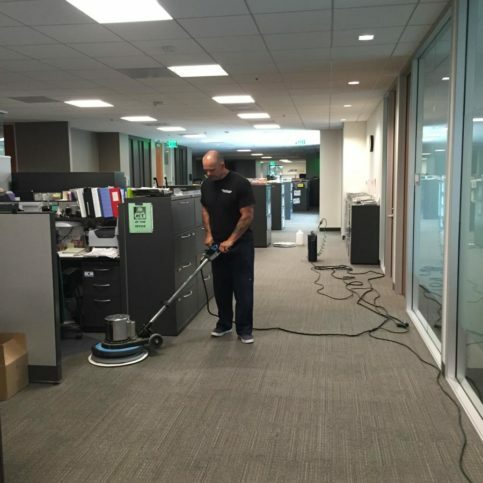 They do a good job cleaning waterless flooring, which would be a hardwood floor type, so it wasn't carpet. They did a great job. You have to have special equipment for the job, and they did great. They came at the right time and got it done quickly. They were nice about getting things done professionally. They did an amazing job on a light beige colored room that we have. It turned out great. The carpet is still in great condition. They cleaned a place we moved out of to help us get our deposit back. We got most of it back. They did a really good job. I thought they were quick, and obviously, got the carpets clean. 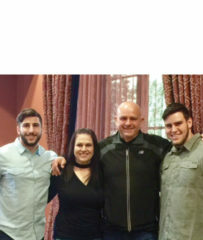 They were really easy to work with, showed up when they said, and they did what they said they would do. They were really good. They showed up with all of the right stuff for the job, they were very professional, and they got things the way we wanted. They were able to do what they said. I thought they did a good job, no complaints. Well, I would show them the area rug that they cleaned I guess. It turned out really nice. Nothing specific, other than what I said, they did a good job. Well, the work is done quickly, and they do a really job getting it the cleanest they possibly can. They were upfront about the possibilities of the outcome. There is a lot I could say, but I think saying I would use them again after using them several time is enough.